Chevrolet, Buick, and GMC vehicles are known for many things: their classic looks, a wide array of customization options, and unbeatable performance on the road. We know that our customers want to make sure that their Chevrolet, Buick, and GMC vehicles last as long as possible, which is why we stress the importance of regular oil changes and routine maintenance. You have questions about changing the oil on your car, truck or SUV and we have answers. Q: WHAT DOES MOTOR OIL ACTUALLY DO? A: Motor oil lubricates all the moving parts in the engine. This prevents any friction that would happen if motor oil wasn’t in your car. Without motor oil, engine parts would grind against each other and cause wear and tear on the components. The longer you go without an oil change, the thicker the oil gets. This is because the oil collects contaminants, metal fragments and grime as it goes through the engine block. Expensive engine repairs can be avoided by changing the oil in your Chevrolet, Buick, and GMC regularly. When you get new oil, it is contaminant-free and improves the performance of your Chevrolet, Buick, and GMC vehicle. It also extends the life of your engine, increases your MPG and decreases the harmful emissions from your car. Take advantage of our Lifetime Oil Change and Filter program and make it easier to maintain the condition of your Chevrolet, Buick, and GMC for years to come. Q: WHEN DO I NEED AN OIL CHANGE FOR MY CHEVROLET, BUICK, AND GMC? A: We’re glad you asked. Many GM models are equipped with an Oil Life Monitoring System, which will alert you when it’s time for an oil change. While newer Chevrolet, Buick, and GMC models can go longer between oil changes, older models will need to be serviced more often. It’s best to reference your owner’s manual for the right oil change interval for your car, truck or SUV. You can take a look at the dipstick in your Chevrolet, Buick, and GMC engine to see if you need to top off your oil. We recommend you do this at least once a month to make sure your car or truck has sufficient oil levels. Chevrolet Buick GMC of Fairbanks offers complimentary fluid top offs for your Chevrolet, Buick, and GMC, as well as tire pressure checks – simply swing by and pull into our service bay today! Q: HOW MUCH IS AN OIL CHANGE AT Chevrolet Buick GMC of Fairbanks? A: We frequently run specials for discounted oil change services at Chevrolet Buick GMC of Fairbanks. If you don’t see an oil change special listed on our site, you can call us at (907) 885-0345 for our latest oil change pricing. Removal of motor oil. We replace it with synthetic oil that is best for your Chevrolet, Buick, GMC engine. Oil filter removed and replaced. This is an OEM Chevrolet, Buick, GMC oil filter so you are guaranteed a fantastic seal and high quality. An eco-friendly oil change – we recycle the oil and oil filter. Service Interval Indicator reset. This is so you don’t get a notification light telling you to change the oil after it’s been done recently. Multi-Point inspection. We don’t want to give you back a vehicle that might need some additional service. We check the brakes, power steering, tires and much more with our Multi-Point inspection. This gives you confidence when you take your vehicle home. Q: CAN I UPGRADE MY OIL CHANGE? Have more questions about changing the oil on your Chevrolet, Buick, and GMC? We’re here to help! Contact us at (907) 885-0345 and our GM Certified mechanics will be happy to help. 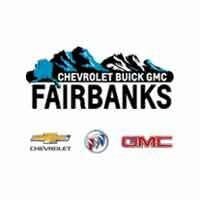 We hope to see you soon at Chevrolet Buick GMC of Fairbanks!